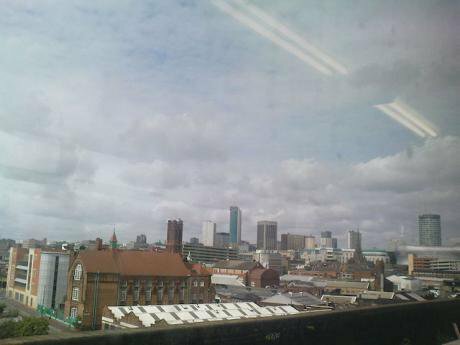 Mobile shot of the Birmingham skyline from the train heading into Birmingham Moor Street, passing Digbeth. Wikicommons/ Elliott Brown. Some rights reserved.In the forthcoming book, ‘Our City: Migrants and the Making of Modern Birmingham’, crowdfunded by Unbound, Jon Bloomfield has interviewed fifty migrants to Birmingham from all walks of life: a mix of first and second generation; men and women; from Ireland to India, Pakistan to Poland, the Caribbean to Somalia who talk frankly and with humour about their experiences both at work and in society more generally. In this third extract, he looks into efforts to preserve a cultural inheritance in a new and diverse context. ‘It looked like a war-zone’ says Mila as she recalls the first time she went to the Saturday school run in the Polish community centre at the top of Digbeth. There were five different classes all taking place within one large room. The whole show was a bit of a shambles. The sharp increase in the number of Polish families in the city after 2004 had caught the long-standing Polish Saturday school – set up after the Second World War by the city’s émigré community – wholly unprepared. Mrs. Wyszynska had been running the school for a long time and she was in poor health. The numbers fluctuated as parents came and went which was difficult for the education of the pupils; the Polish club was not so open to the changes needed; and there were problems with the insurance. Mila stayed and began teaching Polish for GCSE classes. She quickly became involved running the school. It soon became clear that Mrs. Wyszynska wanted to pass the baton onto her. Mila was born in Koszalin, a town near the coast of northern Poland. She took a degree in theology followed by postgraduate study in Warsaw. She is an expert on Augustine and ‘The City of God.’ She met Mariusz at university; got married in 2002; and had her first son Stanislaw – Stas – in 2003. There were limited prospects for them in Poland; Mila’s sister had been living in Coleshill since the opening of the labour market in 2004; Mariusz’ cousin too; and they told them it would be easy to settle even though they had a three year old son. Sure enough Mariusz, who had studied mechanical engineering before turning to theology, landed a job on his first day through an agency. He quickly progressed through various construction jobs and for the past three years has worked for Murphys as a painting inspector on major construction works. It took Mila a little longer, having first to sort out nursery arrangements for Stas, but she got asked to help with a disabled child and from there became an integration assistant supporting autistic children, mainly on a one-one basis. It is work that she both enjoys and that fits in well with her children. However, she had not made the journey to Britain just to sit around and enjoy the delights of suburban Coleshill. The school required a shake-up; the growing Polish community wanted a thriving educational and cultural centre; she set about securing it. The school needed a larger, more purpose-built venue. Mila sent letters to fifty schools asking for help. After lots of negative responses she struck lucky. A former pupil of the Polish school worked at the Bishop Walsh secondary school in Sutton Coldfield and had got a positive response from the management, plus the agreement of the caretaker. When they eventually moved in 2011 they were down to just seventy pupils in five classes. Since then with both better conditions and bigger capacity, the school has grown so that altogether it now has 325 pupils coming from all parts of Birmingham and beyond. It runs ten classes, with up to thirty pupils in the younger classes. About ten to fifteen pupils take GCSE Polish each year but only those who get an A grade can stay to do A level because that is much harder and needs more work from the teachers. In total, the school engages fourteen teachers and half a dozen teaching assistants. The teachers are not paid; they just get expenses for their books and resources but Mila has found plenty of teachers around who are quite happy to support the school in this way. Mila put the school on a more formal footing with a Constitution and has involved parents more with its organisation. Parents have become members of the Association. They have a small board of unpaid volunteer trustees which meets regularly, normally once a month and runs occasional fund-raising events. Mila is currently the chair of Trustees, having previously been the head teacher. However, the focus is not just on GCSEs. The school is a cultural body. It is a charity organisation registered with the Charity Commissioners. Parents pay a fee of £15 a month and the school’s constitution states that it wants to advance education in Polish language, history, geography and culture and retain Catholic values. She stresses that part of its Catholic values is to be open to people of all religions and races. Mila knows the Birmingham Polish Saturday school has come a long way. She admits that she used to always be jealous when she looked at other supplementary schools – Muslim, Chinese – in the way that they could stay together and support each other. Originally, they were not like that. They had too many problems. But now the parents find it really relaxing to be together and to talk in Polish. At home many speak in English with the children. But they want their children to learn Polish so they can speak with their grandparents. The bulk of the parents are in working class jobs but they welcome the opportunity for their kids to learn. Dariusz and Magda don’t just send their son to the Polish Saturday school, they also pay for him to have extra English lessons at the Kumon Initiative. He goes once a week and he improves his spelling, writing and reading. “He is now on the gold book at the school” they proudly tell me. This commitment to supplementary schools is evident among other migrant communities in the city, especially where there is a combined link to retaining knowledge of a language and religion. Wing Yip’s Birmingham store donates to both the local Birmingham Chinese supplementary schools, one organised by Chinese themselves and the other linked to the Church of England. On Sunday his grandchildren go there and learn to read Chinese and understand the signs. The children go for four hours; they learn a bit of language and culture; and meet other Chinese boys and girls. Mingham Modern Chinese Language School (MMCLS), established by groups of Chinese volunteers and parents, is a non-profit supplementary school in Birmingham.The devout Muslim commitment is more substantial. Zubeda’s mother was the driver on education. She and her brothers and sisters went to the madrassa from when she was four. They learnt Urdu and Arabic as well as the Koran. The madrassa focussed on the religious heritage and being a good person, but in those days there was nothing about politics. Hasan’s two children go to the mosque for two hours every evening where they learn a whole range of topics: the Koran; Arabic; history; morals and character, their Islamic application and how you deal with important issues. His wife’s cousin runs it in Aston. Compared to Hasan’s own experience when he was growing up, today’s supplementary schools are very different: they run course modules; teachers speak English whereas when he went it was mainly in Urdu; and generally they are now much more professional. The extent to which there is a more ideological tenor to the scholarship remains an area of dispute. However, even Rehman and his wife who are not religious have a tutor who comes to their home once a week so that their children can learn the Koran. All his older sons now know it. He insists that he is not pressuring them but it means they have learned about their religion. I am reminded of my own strongly atheist dad. He agreed to me going to Hebrew classes for three hours every Sunday morning and being bah’mitzvah’d at the age of thirteen. The night before the ceremony he accompanied me to the synagogue – the first time I had known him go there – to meet the Reverend and sort out the arrangements for the next morning. Once that had been sorted, he starts a discussion with the reverend and before I know it he is telling the guy why he doesn’t believe in God. My sweaty palm pulled ever stronger on his hand as the discussion continued. As we were walking home, I said to him that I didn’t understand, why was I going through all this palaver and effort if he didn’t believe in any of it. ’Jonny, it’s important you understand your culture, where you come from’, he replied.